It has always been somewhat of a dream of mine to move to California. The weather is great, and people are relaxed, and the beaches are beautiful. The house in this article was Esquire Magazine’s 2010 Ultimate Bachelor Pad, and I couldn’t agree with them more. Each year since 2003, Esquire Magazine has taken a house and turned it into a design showcase. 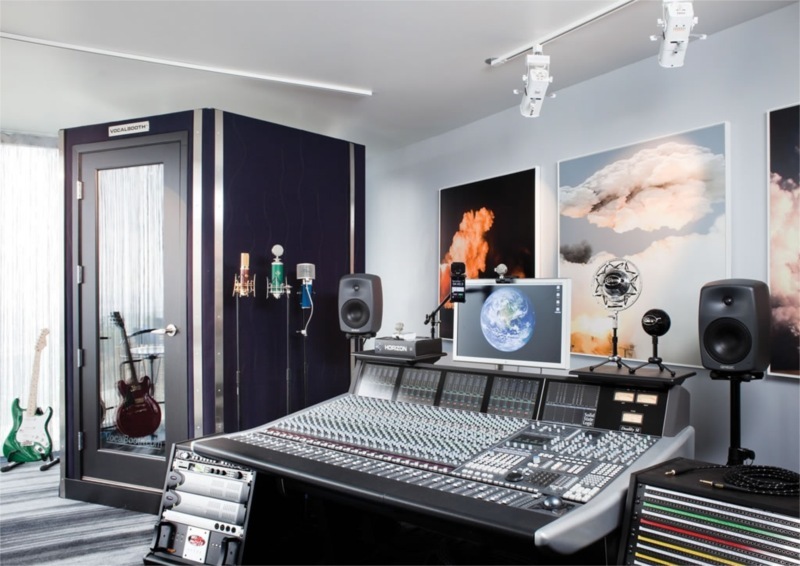 They call it their “Ultimate Bachelor Pad” but it really does serve a higher purpose: The remodeled space is used to host some of the season’s biggest charity and celebrity events. And the house for sale winds up getting a lot of terrific exposure. 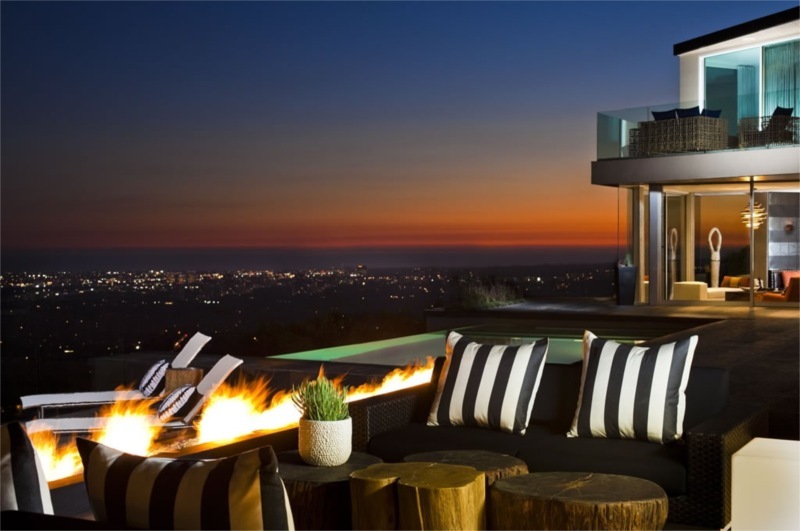 2010’s esquire Ultimate Bachelor Pad is located in Doheny Estates in Hollywood Hills. The 9,000-square-foot house was completely rebuilt from the ground up and newly outfitted under the design guidance of Elaine Culotti of Porta Bella. The remodeled home now boasts of 11 bedrooms, 9 bathrooms, an infinity pool, two-story pool house, hot tub and gym. Add to this a $500,000 music studio complete with state-of-the-art recording equipment, a one-of-a-kind $200,000 flight simulator that responds to body movements and an interactive 65-inch multi-touch video wall from Obscura Digital featuring Hard Rock memorabilia and you realize why they call it the “Ultimate Bachelor Pad”. The home is listed at $18.9 million. Some of the top designers who contributed to making this property include, Mark Cutler, who did the study; Annette English who designed the master bedroom; Lonni Paul on the gym; and Ron Boren did the landscaping. The house will made its world debut on October 15th 2010 with a benefit for the International Medical Corps, a global humanitarian relief organization. There are a number of events lined up for the Esquire House. What is more, for the first time this year, there will be a cable TV show on the re-making of the Esquire House. The DIY Network has scheduled it to air in January, hosted by Amy Matthews. The Esquire House will host a season of red-carpet galas and events to benefit very worthy charity partners, including City of Hope, FasterCures, International Medical Corps, Oceana, and Oxfam. The famous hospitality of the Esquire House is enhanced by contributions from Absolut, DonQ, Glenfiddich, Heineken, and Woodford Reserve; cigars from Montecristo; and bounteous steak from Robinson’s Prime Reserve. With its 2010 return to Los Angeles, the Esquire House continues its tradition of re-invention, and bringing the Esquire tagline, “Man at His Best,” vibrantly to life. I have nominated you for the Versatile Blogger Award. Should you accept, please follow the link below. I enjoy visiting this blog and reading your work. Thank you and well done.